Amenities - Historic Smiths Marina on the Severn River is a full service marina offering rental boat slips, maintenance, dry storage, fuel dock, and repair. Call 410-923-3444 for information. 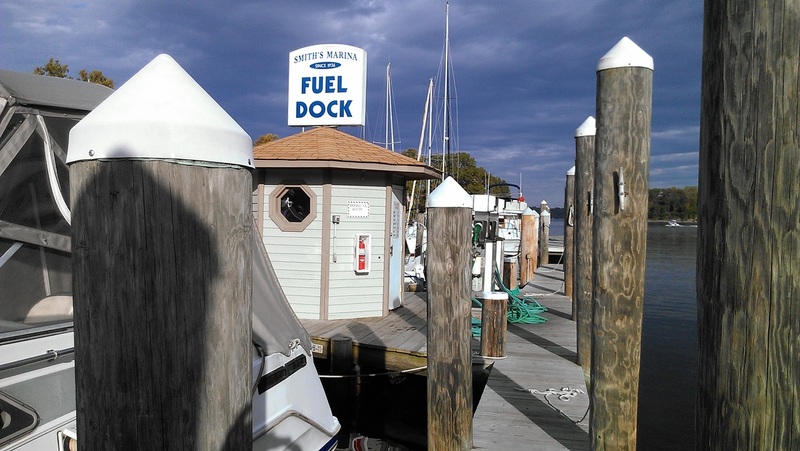 Smith’s Marina is the only Fuel dock on the Severn River with 89 octane gasoline and diesel fuel. Our Marina Store stocks a variety of marine supplies, cleaners, waxes, zincs, Interlux & Pettit Paints, paint supplies, engine stabilizers, fuel additives, and Interstate Batteries. We also have ice (bags & blocks), soft drinks, bottled water, snacks, Good Humor Ice Cream, sunscreen, sunglasses, bait, fishing and crabbing supplies. Smith’s Marina T-shirts and sweat shirts, along with many other boating necessities. Beginning Memorial Day weekend thru Labor Day the Fuel Dock and Marina store is open 8am to 8pm daily. Call for our off season hours. A variety of cleaners and waxes. Salisbury Pewter gifts and jewelry. 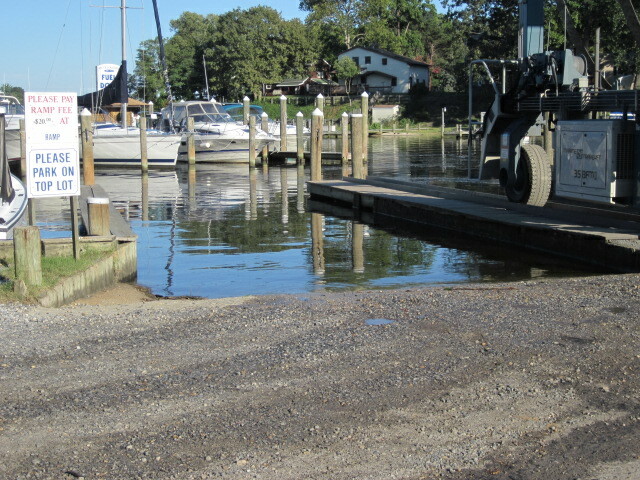 Our public boat launch ramp is always open in season. The ramp fee is $20.00 per day. We have plenty of parking and attendants to help you launch. There is a season ramp pass available for the avid boater. Please contact the office for details. We also have a pumpout facility funded by the Clean Vessel Act to empty your boats holding tanks, with access to fresh water to refill your water tank. For all other services provided we gladly accept Discover, Visa, MasterCard, and American Express.